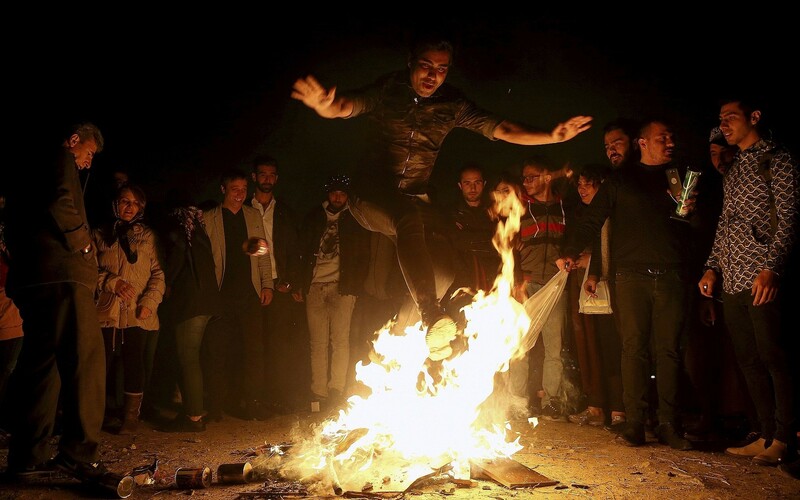 The celebration is held on the last Tuesday night before Nowruz, or the Iranian New Year, which will be celebrated Thursday. The annual ritual dates back to at least 1700 BCE and is linked to the Zoroastrian religion. 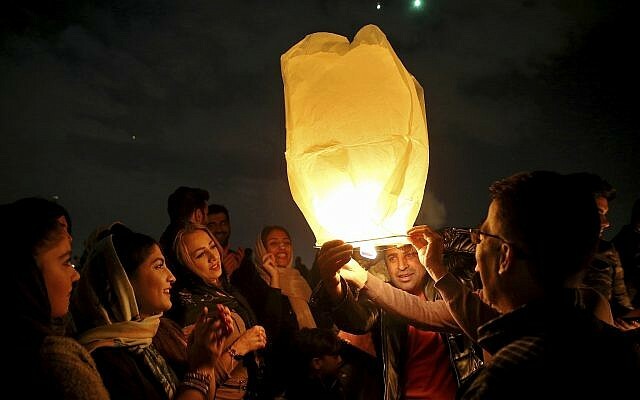 This year Nowruz comes at a time of growing economic hardship following US President Donald Trump’s decision to withdraw from the Iranian nuclear deal and restore crippling sanctions. Iran’s currency has plummeted in recent months, sending prices skyrocketing and wiping out many people’s life savings.